Thad Jones. 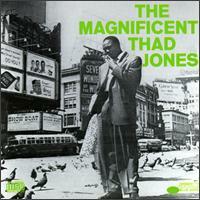 The Magnificent Thad Jones (1956). Trumpeter Thad Jones is best known for his key role in the Thad Jones/Mel Lewis Orchestra, a very popular and influential big band in the 1960s and 1970s. (He is also the brother of pianist Hank Jones and drummer Elvin Jones.) Beginning in the mid-1950s, he was a soloist and arranger for Count Basie's Orchestra. Thad Jones also thrived in a small group setting, and The Magnificent Thad Jones is aptly titled. 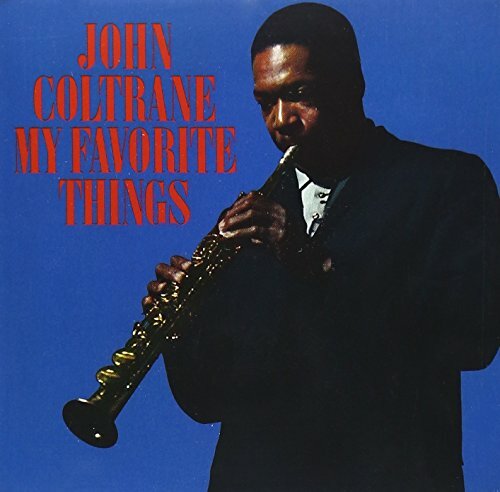 This hard bop album is magnificent. With Barry Harris on piano, Billy Mitchell on sax, Percy Heath on bass and Max Roach on drums, the "quintet makes truly great jazz music together" and "firmly established Jones as one of the premier musicians and composers in modern jazz." It includes original compositions as well as timeless classics such as April in Paris and I've Got A Crush On You. As one critic put it: "The musicianship being at such a lofty plateau, so intelligently selected and executed, this CD is a must-have for every collection, and is generally regarded as the very best work of Jones, later big-band recordings with Mel Lewis notwithstanding."